Manchester Pride is committed to supporting a year-round programme of cultural events through Superbia. 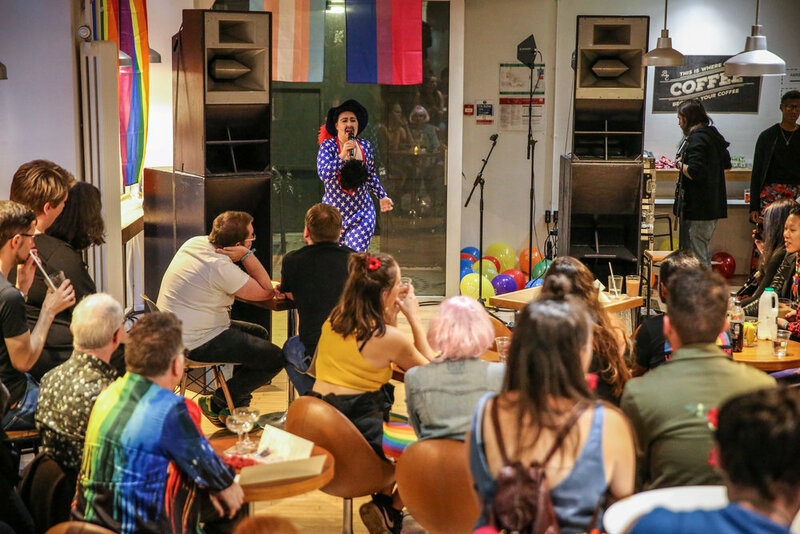 Superbia is Manchester Pride's year round programme of culture, designed to support, curate, fund and promote LGBT+ events throughout Greater Manchester . 1. By supporting existing LGBT+ events with free promotion and marketing through the Superbia events page and social media, which we’d love you to help us grow. Submit your LGBT+ event to us and we’ll take it from there! 2. By funding LGBT+ events with Superbia Grants. If you need funding to stage an event or programme, you can apply to us for financial support. Each application is diligently judged on its own merit by an independent committee. The events we support include arts and cultural activities, campaigning, debate, health and wellbeing, events with a message to challenge discrimination, and projects raising awareness of LGBT+ and HIV issues. 3. By curating original Superbia events through collaboration with partners, venues, groups, curators, community members, artists and creatives. We aim to keep our events free of charge, diverse, accessible, intelligent and welcoming. Be sure to check out the current Superbia event calendar here, follow us on Twitter, and for more information on how to apply for a Superbia Grant, click here.